I’m talking about the His & Hers Sock Looms by KB Looms! In all seriousness, though, I’ve had the opportunity to take this fun duo out for a spin and found them to be committed to making the marriage of yarn and loom a happy and productive one. The plastic is pretty sturdy and feels good in the hand. It also has a little bit of a micro-texture to it, so that it isn’t super slippery when maneuvering. The pegs themselves are slim, with just a wee bit of flex, which I like in a loom. 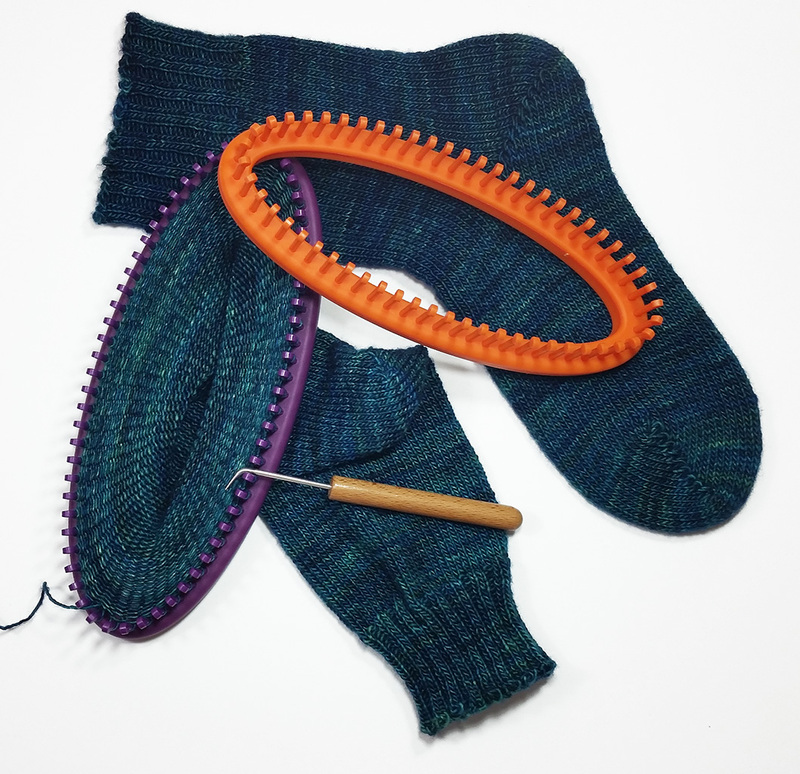 I would avoid, however, pulling too tightly to knit off, or to move stitches around, because I’m not sure how far these will flex before they snap. If sticking to what these looms were made for: namely DK to sock weight yarns, you shouldn’t have any issue with that, I’m thinking. Let’s talk about that oval shape. 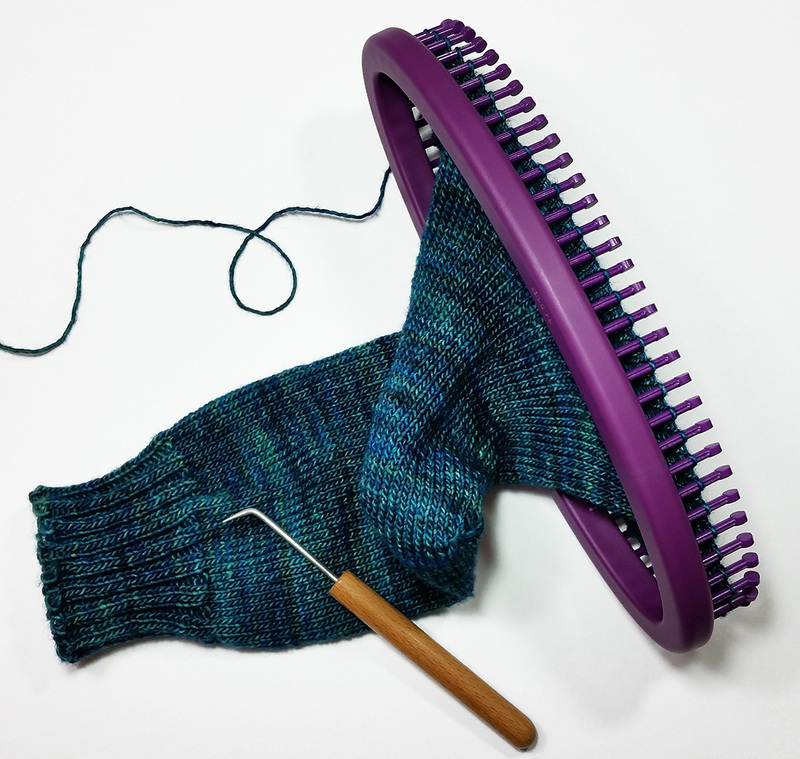 This is a nice compromise between other looms that are round or rectangular, and lends itself to easily be able to slip inside a small project bag for knitting socks on the go. 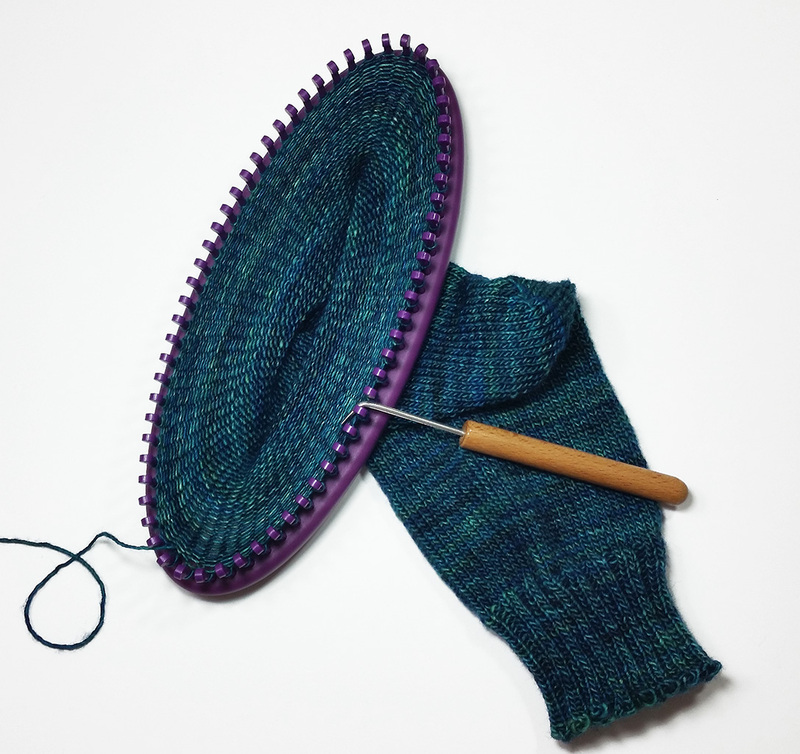 The other thing this oval shape is excellent for is for working socks from the toe up, because the sides are closer together, allowing the toe stitches to be stretched across the loom with greater ease (can we say good bye to grafting??! haha!) It’s also very simple to know where the halfway point of the loom is to mark the correct pegs for short-row heels and toes. I am so pleased to tell you that you will find the actual pattern that I came up with to create the sample you see in these pics at the KB Looms website: Keepin’ it Simple Socks. The yarn that I used is MadeleineTosh Tosh Merino Light and I loooove it…so scrumptious! ❤ If you decide to whip up one (or a dozen or so) of these socks, be sure and link it to the Ravelry project page for it here. Thanks a billion! If you thought this was good…wait until this weekend when there will be yet ANOTHER loomy release into the world (*see last week’s release here)! I’ve seen it, used it, and yes, it’s pretty awesome! Three new product releases in as many weeks? This should be called Christmas in August for loomers, lol! 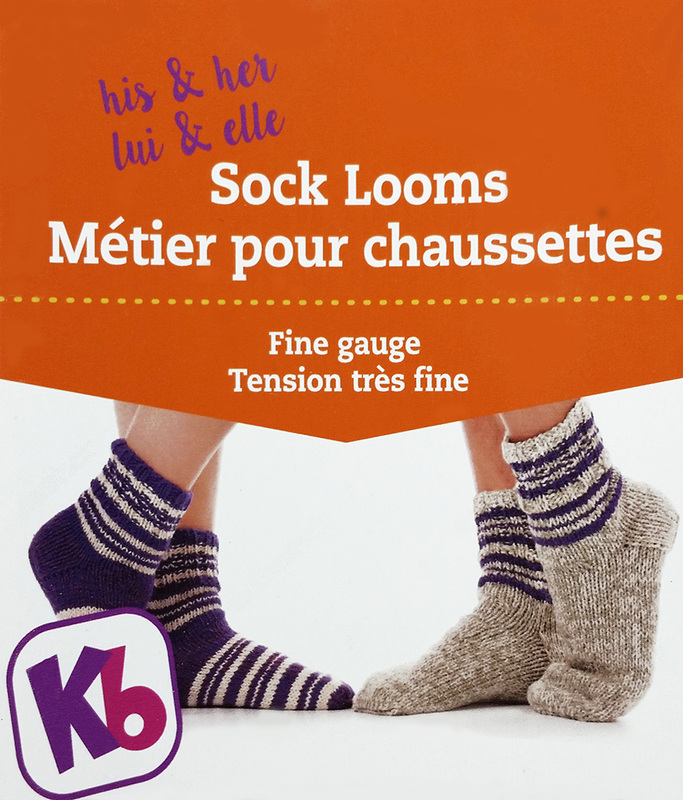 This entry was posted in Free Loom Patterns, Knitting, Loom Knitting, Looming Patterns, Looms, New Projects, Product Review and tagged Free Loom Knitting Patterns, his & her sock looms, KB Looms, Knitting, loom knitting, loom knitting socks, New Product, sock looms. Bookmark the permalink.